The law offices of Keneally, Lynch & Bak, LLP is a full-service boutique law firm specializing in real estate, commercial transactions, corporate/business law, trusts and estates, and litigation. A resume of its critical personnel follows. Our attorneys and our entire team have built a reputation for being extremely responsive, highly skilled, creative and hard working. In addition to the firm’s attorneys, we have a support staff of paralegals and assistants in order to ensure the delivery of timely legal services of excellent quality. With our offices in Islandia, NY, Southampton, NY and Westhampton Beach, NY, we have the ability to properly service our clients throughout the Long Island/New York Metropolitan area. Mr. Keneally was admitted to the New York Bar and the Massachusetts Bar in 1992. He received his Juris Doctor from Touro College School of Law in 1991. Mr. Keneally graduated with a Bachelor of Science Degree from Bentley University in 1982. Prior to joining the firm, Mr. Keneally was the managing partner of Meyer, Meyer & Keneally, Esqs., LLP of Smithtown, New York, which he joined in 1992. 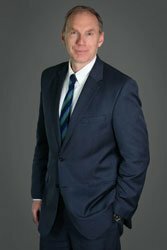 Mr. Keneally has concentrated his practice in representing banking institutions, lenders licensed by the U.S. Small Business Administration (504 and 7A), credit unions, mortgage banks, mortgage brokers, commercial and residential lenders, finance companies and businesses large and small. He has also concentrated in commercial bank lending, including commercial revolving lines of credit and term loans, and he has expertise in general business representation, organization and structuring of business entities, negotiation of operating agreements, shareholder and partnership arrangements, and ongoing business contracts and employment agreements. Prior to 1992, Mr. Keneally was employed by Citicorp/Citibank as a Commercial Loan Officer in the Middle Market and Community Banking Division. His responsibilities included new business development, portfolio maintenance, and loan underwriting. The types of loans included: real estate, working capital (secured and unsecured), revolving term and trade financing. Mr. Lynch was admitted to the New York bar in 1984. He received his Juris Doctor in law from St. John’s University School of Law in 1983 and his Bachelor of Arts in Economics from St. John’s University in 1980. Prior to joining the firm, Mr. Lynch founded the law firm of Lynch & Bak, LLP in 2004 with Kara L. Bak, one of the firm’s present partners. The firm had offices in Holbrook and Westhampton Beach, New York. Mr. Lynch’s main area of practice was in residential and commercial real estate, representing lenders, purchasers and sellers. Under his direction, the firm also handled other areas of the law including commercial litigation, real property disputes, landlord tenant actions, wills, trust and estates. 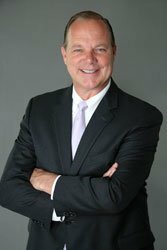 Mr. Lynch previously had his own law practice which he established in 1990 representing banks, mortgage companies and mortgage brokers at closings. Mr. Lynch also specialized in representing a number of relocation companies in the closing of title on the homes of relocated executives for companies across Long Island. After graduating from St. John’s School of Law, Mr. Lynch worked as an associate for a number of years with Cullen & Dykman in their real estate and banking department and managed their Hauppauge, New York closing office. Ms. Bak was admitted to the New York Bar in 1994. She had received her Juris Doctor of Law from Touro College School of Law in 1993 and her Bachelor of Science from St. John’s University in 1989 where she was an All American in Track and Field. Upon graduation from law school, Ms. Bak joined the law firm of Meyer, Meyer& Metli, Esqs., LLP in Smithtown where she worked with Joseph P. Keneally, one of the firm’s present partners. 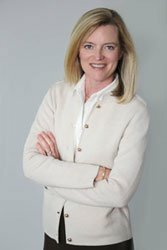 In 1996, she founded her own general practice law firm in Westhampton Beach and focused her energies in the areas of residential and commercial real estate closings and municipal code enforcement defense. Ms. Bak was one of the first women sole practitioner attorneys on the east end of Long Island handling seven figure real estate transactions. In 2004, she founded the law firm of Lynch & Bak, LLP with John Howard Lynch, joining him in representing major financial institutions at closings before she became a partner at Keneally, Lynch & Bak, LLP.